I almost missed an important holiday last week - the Day of Russian State Flag. The day was established in 1994 and is celebrated on 22 August, but it is a normal working day. Would you like to know more about our flag and its history? I'd love to share some facts with you. Our flag is called Tricolor (Триколор). I guess the reason is obvious - because the flag has three colours: red, blue and white. 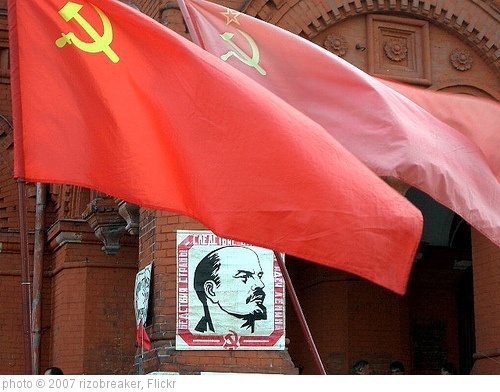 It appeared in 1991 instead of the red flag with a reaping hook and a hammer that had been used in the Soviet Union. But the history of this flag goes farther back into the life of our country. It turns out that this flag was first raised during the reign of Tsar Aleksey Mikhailovich on one of the military ships built in 1668. The ship was named Орел (Eagle), but its life was very short. Soon the ship and the flag were burned by the followers of Stepan Razin. Tsar Peter the Great is considered to be the official "father" of our Tricolor. He was the one who signed the decree that our merchant ships should always have white-blue-red flags. He made the first sample by himself and defined the order in which the colours in the flag should follow one another. Nobody knows why he chose those colours. Some legends say that it was an idea of that Dutch marine architect who built the Eagle ship earlier. He could have told Tsar Peter that in his country all ships had flags made in three colours: red, white and blue. There is no exact interpretation of the colours. According to one of the versions, white means freedom, blue means Virgin Mary, the Mother of Jesus Christ, and the red colour means the power of the tsardom. Another version says that white means nobleness, blue means honesty and the red colour means courage and generosity, key Russian national character traits. But it was only in 1896 when not long before the crowning of Nicholas 2nd of Russia (our last tsar) the Ministry of Justice finally declared this flag as our national flag. In 1918 the Tricolor was changed for the red flag as a symbol of revolution, but in 1991 the historic flag returned thanks to a new decree of the Russian government. I didn't notice any special celebrations in Vladimir on that day, but I live quite far from the center, so maybe there were some festivities that I missed. But my dear colleague Olga Tkachenko shared some pictures from the celebration in her city. You can see the pictures here. 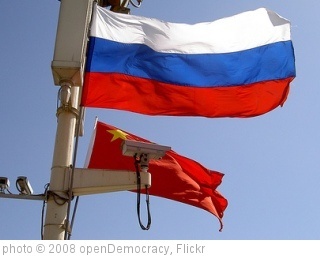 You can see even more interesting pictures of the Day of Russian State Flag here. Olga, thank you for mentioning my pictures. Yes, the celebration was great, I (and I think other participants) felt proud to be a part of it. there was music and happy people and it was really festive. Hi Olga, you are very welcome! I loved the pictures in your blog and I couldn't help mentioning them here!